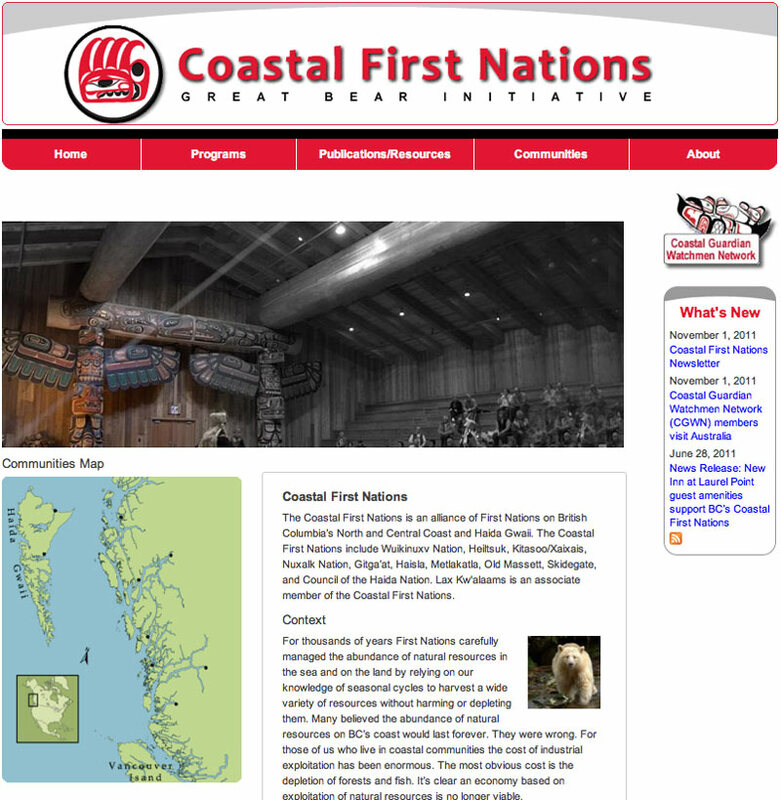 Sites developed for First Nations organizations. This is a re-theming project. The site was designed and built by Affinity Bridge here in Vancouver. Brad Hornick created the new look for the site. I reworked the theme. 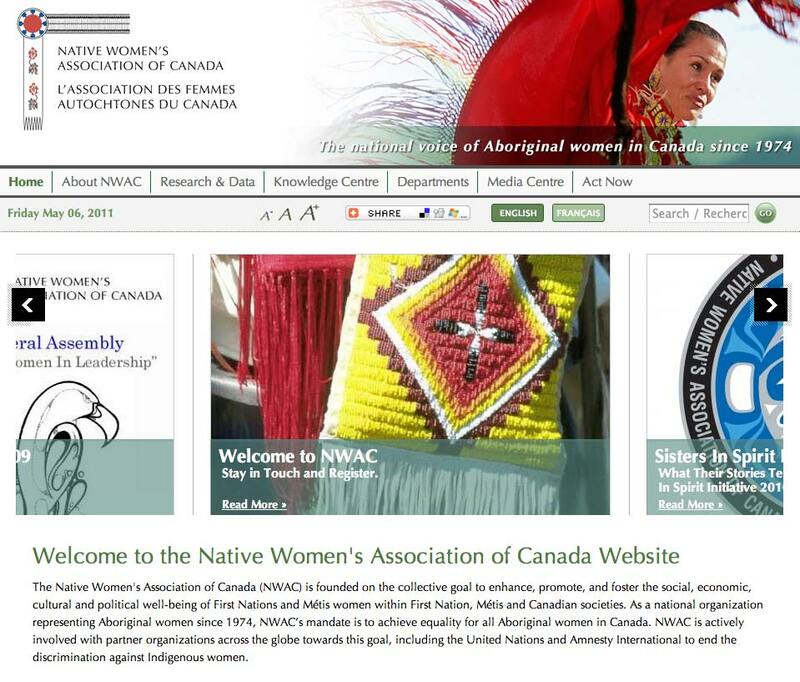 This site was done for the Ottawa based NGO, Native Women's Association of Canada. This was my first bilingual site using Drupal's Internationalization module. I was impressed with its power and ease of use. 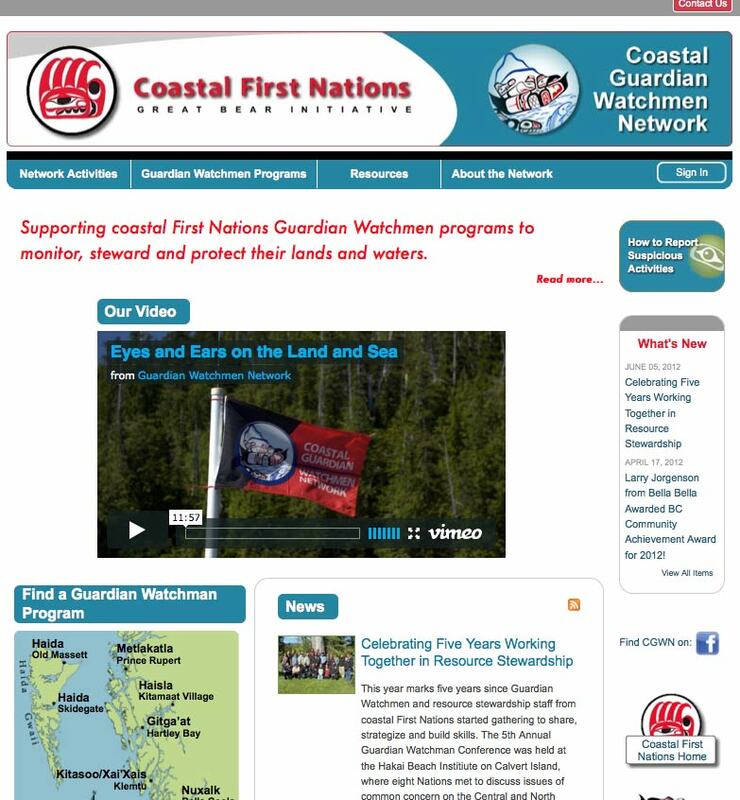 The site features: mapped locations,private messaging, bilingual content/interface and slide shows.